While Texas Tech may be just flat out bad, their win on Saturday against 12th-ranked Iowa State proves just how deep the Big 12 really is. While it’s true in college basketball that anyone can beat anyone on any given night, this fact isn’t more evident in any conference as it is in the Big 12. 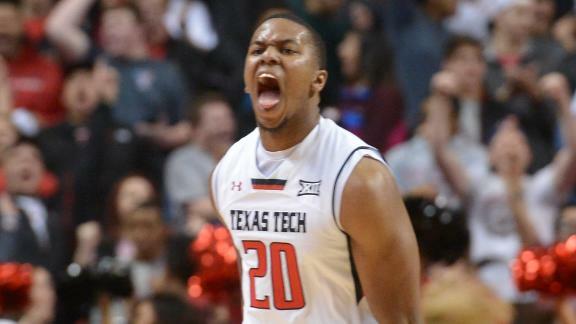 The Red Raiders looked just bad at Oklahoma State on Wednesday, but they were quite impressive against Iowa State on Saturday. After showing that they are capable of competing with anyone, now they just have to actually go out and do it. I just don’t see the Red Raiders playing like they did on Saturday on a consistent basis. For their sake, I hope I’m wrong. Kansas State appears to be on the rise now as they have been playing some decent basketball lately. With games this week against Kansas and West Virginia, they have a shot at going 2-0. That will likely prove difficult due to the fact that both the Mountaineers and Jayhawks have more consistent guard play than the Wildcats. Add in the fact that the Kansas game is in Lawrence and it just seems like the Wildcats will be lucky to split their games this week. TCU is on the fringe of beating somebody big. They only lost to West Virginia by one in Morgantown in overtime. They brand of basketball that the Horned Frogs have been playing has been so much better than in the past thanks to Trent Johnson. While I still feel that he isn’t the answer to turning that program into a perennial power, Johnson could have this team in the postseason this year.